This concludes my review of Michael Kruger’s The Question of Canon. The other parts of the review can be found here. I’m continuing my review of Michael Kruger’s The Question of Canon. The other parts of the review can be found here. Here begins my review of Michael Kruger’s The Question of Canon! The other parts of the review can be found here. 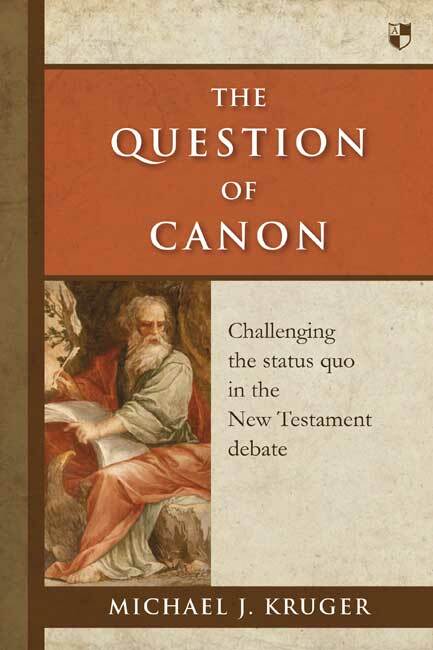 Late last year, Michael Kruger released The Question of Canon, which asserts that the NT canon is not an invention of the church hundreds of years after Christ, but rather a natural and even expected development amongst the very earliest followers of Jesus. 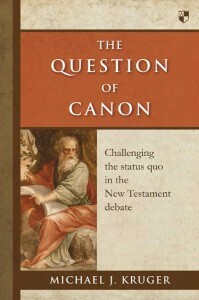 The Question of Canon is a fairly short work (252 pages) with a precise focus. Kruger wants to rock the boat a little with those who see the NT canon as merely artificial and late in history; something that happened to the early Christian writings rather than something arising from the character and nature of the writings themselves. Or in other words, were the NT documents called canon (the ‘extrinsic model’) or recognized to be canon (the ‘intrinsic model’)? Kruger doesn’t dismiss the truth or values to the extrinsic model, yet wants to reveal its prominent weaknesses and challenge its exclusivity amongst many scholars. This is much more than a work of apologetics but it certainly has apologetic ramifications.